Pinot Noir New Zealand 2017 Acclaimed “I’ll Drink to That!” United States podcaster Levi Dalton will join noted British wine writer Jancis Robinson, MW, eminent wine and sake expert Ken Ohashi, MW, and Grammy Award-winning Tool frontman and winemaker Maynard James Keenan from Arizona in the US, as key note speakers. Registration for Pinot Noir NZ 2017 is now open at www.pinotnz.co.nz. Wally's All-Stars Wine Tasting 2016 The 6th Annual Napa and Sonoma All-Stars Tasting will be held at The Olympic Collection in Los Angeles on Sunday, April 17, 2016. Taste nearly 150 of some of the most highly-respect wine producers in California with many of the principals and winemakers attending. Pinot Noir specialists that will be pouring include Balo Vineyards, Black Kite Cellars, Castalia, DuMol, EnRoute, Eric Kent, Etude, Flowers, Goldeneye, Hanzell, Hartford Court, LOLA Wines, MacMurray Ranch, Merry Edwards, Morlet Family Vineyards, Patz & Hall, Ram's Gate Winery, Robert Sinskey, Saxon Brown, Twomey Cellars, WALT Wines and Wayfarer. Tickets are $75 in advance at www.wallywine.com or call 310-475-0606. 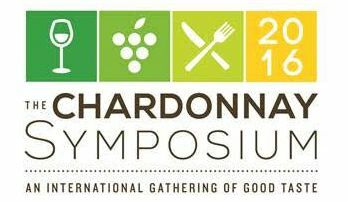 The International Chardonnay Symposium Wente Family will be honored at this year’s International Chardonnay Symposium to be held in Pismo Beach, CA, May 12-14, 2016. Wente Family Estates will receive the first Legendary Family of Chardonnay Award. The Wente family story began in 1883 when first generation C.H. Wente planted 47 acres in the Livermore Valley that quickly grew to 200 acres before Prohibition. His sons, Ernest and Herman, took over the family business after Prohibition, and developed the Wente Chardonnay clone that transformed California’s Chardonnay wine landscape. Today, 80% of Chardonnay grown in California is derived from the Wente clone. This year the Wente family celebrates the 80th anniversary of bottling the nation’s first varietally-labeled Chardonnay, a 1936 vintage. Wente Family Estates continues to release award-winning wines from their vineyards in Livermore Valley, San Francisco Bay and Arroyo Seco appellations. The Symposium is also hosting a panel titled, “Wente Clone Comparative Tasting,” that will explore the Wente clone planted at various sites. To purchase tickets, visit www.TheChardonnaySymposium.com. Foley Food & Wine Society Orange County Event The Foley Food & Wine Society has planned an event at Orange County, California’s Lyon Air Museum on April 9, 2016. Tapas will be offered to accompany spring releases and other wines in the Foley Estates portfolio. Winemakers from Foley Estates and Lincourt, Chalk Hill Estates and Roth Estates will be present. 25% off all wines the day of the event. Profits from the event benefit the Folded Flag Foundation and Dream Foundation. For tickets $150 per person), visit www.foleyfoodandwinesociety.com. 40th Anniversary of the Judgment of Paris in Sonoma County The three days of the Russian River Valley Barrel Auction will kick off with a recognition of Helen Bacigalupi as one of four Sonoma County Icons for her part in shaping the heritage of Sonoma County winemaking. Bacigalupi Vineyards will join four other Russian River Valley vintners in producing The Judgment of Paris 40th Anniversary Barrel during the Sonoma County Vintner’s Annual Barrel Auction. This never before and never again barrel is composed of lots of Chardonnay from the original Wente clone plantings at Bacigalupi Vineyards. The Return to Paris Tasting will be held Saturday, April 30, 2016, at Bacigalupi Vineyards, offering a tasting of current vintage French burgundies and California wines that emulate the wines tasted in 1976 along with a BBQ lunch. A forum of guest speakers (including me) will discuss the influence of Sonoma County farming on the winning Chardonnay and the Judgment of Paris’ affect on the California wine industry. This event coincides with the 60th anniversary of the planting of the historic Bacigalupi vineyard. The tasting is sold out, but tickets to the BBQ are still available: visit www.bacigalupivineyards.com. 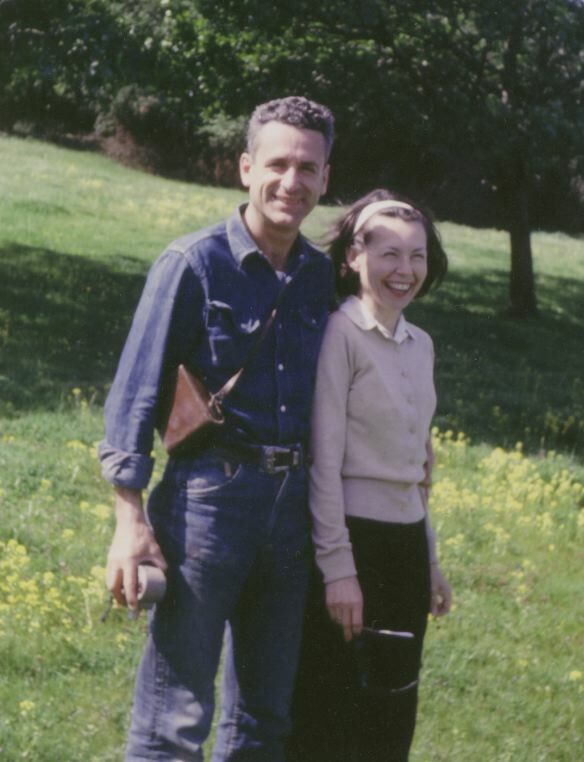 The photo below shows a young Charles and Helen Bacigalupi. West of West San Francisco West Sonoma Coast Vintners present the West of West SF Wine Festival on May 19, 2016, to be held at the Golden Gate Club of the Presidio in San Francisco. VIP Library Tasting and Barrel Tasting will be held from 5:00-6:00 p.m. ($120) and the Consumer Grand Tasting will be from 6:00-8:30 p.m. ($80). There will be 34 participating West Sonoma Coast Vintners member wineries pouring Pinot Noir, Syrah and Chardonnay. For information and tickets, visit www.eventbrite.com. Pinot, Pigs & Poets Event The Pinot, Pigs & Poets Committee, in collaboration with the Nebraska Pork Producers Association, has announced the 7th Annual Pinot, Pigs & Poets to be held at Happy Hollow Club on June 2, 2016. All proceeds benefit the Completely KIDS weekend and after-school food programs. The event features outstanding Pinot Noir wines and savory pork dishes from renowned Omaha chefs as well as slam poetry and vintner and chef competitions. Participating wineries include Adelsheim, Beaux Freres, Big Table Farm, Domaine Serene, Failla, FEL, Loring Wine Company, Pali Wine Co., Ponzi Vineyards, Reuling Vineyard, Small Vines, Talbott Vineyards and Williams Selyem. Reservations are available at www.pinotandpigs.org. Sta. Rita Hills Winegrowers Road Trip to Southern California Members of the Sta. Rita Hills Winegrowers Alliance will be returning to the Marriott Marquis and Marina Kitchen in San Diego for an afternoon of Pinot Noir, Chardonnay and BBQ. The Bottles and BBQ public event begins at 4:00 p.m. Tickets on sale at www.eventbrite.com. Anderson Valley Pinot Noir Festival The 19th Annual Anderson Valley Pinot Noir Festival will be held May 20-22, 2016. Respected industry experts will speak at Friday’s Technical Conference (I will be the emcee for this Conference) followed by a Casual BBQ at Pennyroyal Farm. The Grand Tasting will be held the following day at Goldeneye Winery from 11:00 a.m. to 3:00 p.m.. Local wineries will have open houses on Sunday. Accommodations are limited in the Anderson Valley so arrange now to stay in the Anderson Valley, Mendocino Coast (a 45 minute drive), or Cloverdale (a 60 minute drive). This event always sells out. Tickets are available at www.avwines.com. 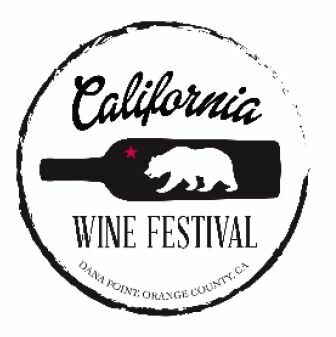 California Wine Festival The 7th Annual California Wine Festival will be held in Dana Point, Orange County, California April 15-16, 2016. The California Wine Festival has partnered with the Surfrider Foundation as the beneficiary of the proceeds of this event. A Sunset Rare & Reserve Wine Tasting and Silent Auction on Friday, April 15 at the Laguna Cliffs Marriott Resort & Spa will offer large format bottles, hand made surfboards, wine country adventures and more. A Beachside Wine Festival will be held on Saturday, April 16, at Lantern Bay Park offering tasting of wines, microbrews, and gourmet food samples. For tickets, visit www.californiawinefestival.com. Flavors of Carlton On May 7, 2016, Yamhill Carlton Together Cares presents the 13th Annual Flavors of Carlton at Ken Wright Cellars Winery in downtown Carlton. The evening begins in the barrel room of Ken Wright Cellars with wine, hors d’oeuvres and a silent auction. Dinner follows in the big tent featuring offerings from 10 regionally renowned chefs with pairings of wine from 20 Yamhill County wineries. The evening will climax with a live auction of rare wine, original art, spectacular travel packages and one-of-a-kind items. Tickets are $100 and include dinner, wine and a commemorative wine glass. For information and tickets, visit www.yctogethercares.com. Yamhill Carlton Together Cares, Inc. is a non profit organization dedicated to providing programs for local youth and families in Carlton and Yamhill. Banquet: Wine from America’s Best Merchants The people who launched Delectable four years ago have created an app - Banquet - that allows consumers to shop over 20,000+ bottles of wine from top independent wine stores and boutique wineries using their iPhone. Visit www.itunes.apple.com or www.shopbanquet.com. Zena Crown Winery Debuts Zena Crown Winery debuted its four 2013 Pinot Noirs for the media and trade on March 31, 2016, in Salem, Oregon. Winemaker Shane Moore has worked with well-known Oregon winemaker Tony Rynders for the past few years to craft the Zena Crown Winery Pinot Noirs. They are sourcing various blocks throughout the 250-acre Zena Crown Vineyard that is located at the southern end of the Eola- Amity Hills AVA in the Willamette Valley, surrounded by the estates of Bethel Heights Vineyard, Cristom and St. Innocent Winery. The vineyard has proven to be a premier growing site for Pinot Noir and has supplied grapes to several celebrated producers in the Willamette Valley including Beaux Freres, Penner-Ash and Soter. Jackson Family Wines bought the Zena Crown Vineyard in the spring of 2013 increasing its vineyard holdings in the Willamette Valley to 440 acres. Look for the public release of these wines this year. Domaine Serene Guaranteed Cork (DSGC) Domaine Serene President, Ryan Harris, announced a zero-tolerance policy against TCA and other forms of cork taint for all Domaine Serene wines starting with the release of the 2014 “r” Rose in February, 2016. DSGC assurance positions Domaine Serene as the world’s first winery to extend a comprehensive guarantee of taint-free natural cork closures to consumers and trade customers, regardless of where or when the wine was consumed. The higher cost associated with these rigorous new testing protocols will not be passed along as increased prices to consumers. In related news, at this year’s Unified Grape Symposium, Amorim and M.A. Silva presented natural cork products that guarantee each individual cork has been inspected for TCA. Cork inspection is moving from testing batches of corks to testing each cork individually and the technique is good enough that the cork companies will certify the results. Corticera Amorim is based in Portugal and is the largest producer of cork products in the world. Amorin’s NDTech is a quality control system using gas chromatography and solid phase micro-extraction to test each individual cork for TCA, insuring that if it remains present, is below the detection threshold of 0.5 nongrams per liter. M.A Silva is also automatically inspecting each individual cork for TCA using gas-phase spectrosopy and is standing behind the results. Wine Glass Transport How many times have you been to restaurants and wished you had proper stemware for the cherished Pinot Noir or Burgundy you brought? How often have you thought about bringing your own stemware to a tasting but lacked a proper carrying case? Wine Glass Transport offers an elegant wine glass travel case made of solid Beechwood with a leather handle that containa two padded pouches perfectly sized for Riedel’s Sommeliers Burgundy glass or other fine glassware. Smaller glasses of almost any size can also be protected. This is the ultimate Pinot geek accessory. 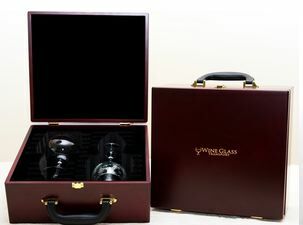 The case is priced at $65 at www.wineglasstransport.com. Wine & Spirits Restaurant Poll 250 restaurants participated in the 27th Annual Restaurant Poll. The results indicate a continued surge in popularity of Pinot Noir over the last decade. California Cabernet Sauvignon, Chardonnay and Pinot Noir continue to dominate by-the-glass pours. Meiomi California Pinot Noir was the #1 by-the-glass restaurant pour with an average price of $14. Other Pinot Noirs in the top 30 in order of popularity included Copain Tour Ensemble Anderson Valley Pinot Noir, Sandhi Sta. Rita Hills Pinot Noir, Domaine Eden Santa Cruz Mountains Pinot Noir, Sonoma Cutrer Russian River Valley Pinot Noir, Bench Sonoma Coast Pinot Noir, DeLoach Russian River Valley Pinot Noir, Laetitia Arroyo Grande Valley Pinot Noir, andElk Cove Willamette Valley Pinot Noir. The most popular Top 50 wines in America’s restaurants from wineries that produce Pinot Noir were Cakebread Cellars (#1), Merry Edwards (#3), Sonoma-Cutrer Vineyards (#16), Cristom Vineyards (#23), Kistler Vineyards (#25), La Crema (#27), Flowers (#28), Argyle (#29), Frank Family (#32), Calera (#24), Ferrari-Carano (#37), Mark West (#45) and Soter Vineyards (#48). The average restaurant price of Pinot Noir has increased from $39 in 1994 to $76 in 2015. By The Numbers Oregon Wine Press reported in their 2016 Oregon Wine Almanac the following stats for Oregon as of the end of 2014. 1,027 vineyards (591 in the North Willamette Valley), 27,390 acres planted (16,545 in the North Willamette Valley), 676 wineries (440 in the North Willamette Valley. Total tons harvested in 2014 by variety: Pinot Noir - 45,239, Pinot Gris - 13,701, Chardonnay - 3,972 and Riesling - 2,194.